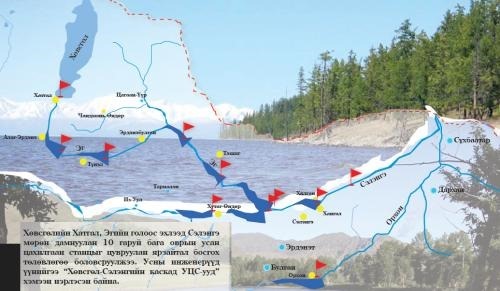 Picture: Dams proposed by Mongolia in Lake Baikal basin. ….Eutrophication, however, is not the only threat to Lake Baikal. Mongolia is planning to build up to eight hydroelectric dams on the Selenga River and its tributaries, the source of 50 percent of Lake Baikal’s surface water. Despite hearings and protests in Russia and Mongolia, the Mongolian government — which imports around 8 percent of its energy from Russia and 12 percent from China — argues that the dams will help achieve energy independence and cut back on coal use. Some experts think there must be a better way. Mongolia can technically produce around 100 gigawatts of power from wind and solar in their part of the Gobi Desert alone — about 90 times the country’s current capacity, said Eugene Simonov, an international coordinator with the nonprofit Rivers Without Boundaries Coalition. Researchers predict that Mongolia’s dams would have significant ecological effects on Lake Baikal, including disrupting the flow of water and sediment into the lake, effecting the quality of breeding sites for birds and fish, and blocking migration routes. 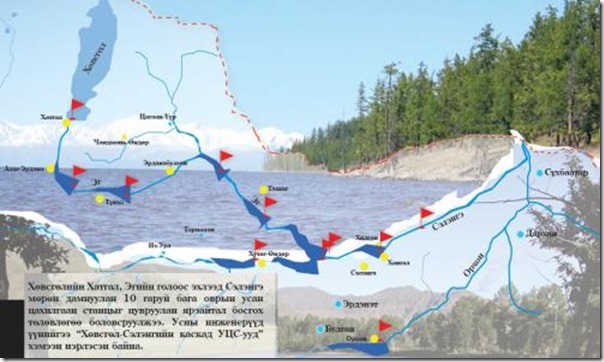 Heeding such warnings, China, which is funding the largest of the projects, in July froze all dam construction until Mongolia and Russia jointly assess potential effects on the lake. “This is important, but just a small step in the right direction,” Dr. Simonov said.